Behind every door there’s a surprise! The excitement begins at the first door you open with the Disney Doorables Multi Peek Pack S2! Open it up to reveal how many doors you have inside, will you find 5, 6 or 7 doors? What awaits you behind each door? Your favourite Disney Doorables character with sparkly glitter eyes! 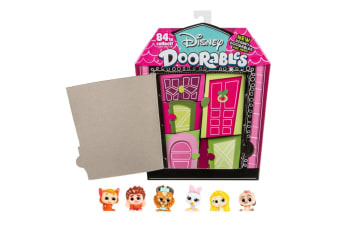 The Disney Doorables Multi Peek Pack S2 includes characters from Disney Pixar’s Toy Story, Zootopia, The Little Mermaid, Wreck-It-Ralph and many more! Which of your favourite Disney characters will be waiting inside for you? Whimsical themes and adorable styling make the Disney Doorables collection a magical doorway to a world of imaginative play. 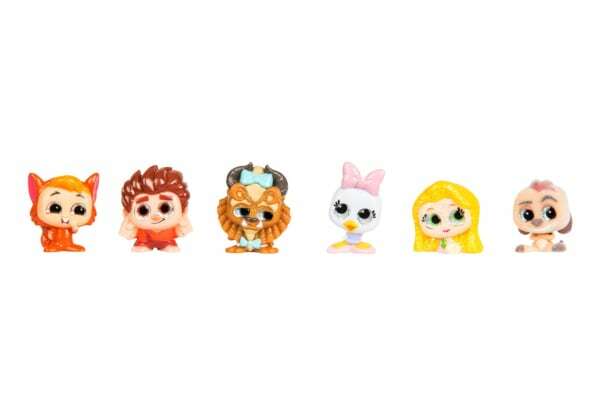 Minimum of 5 figurines in each pack.